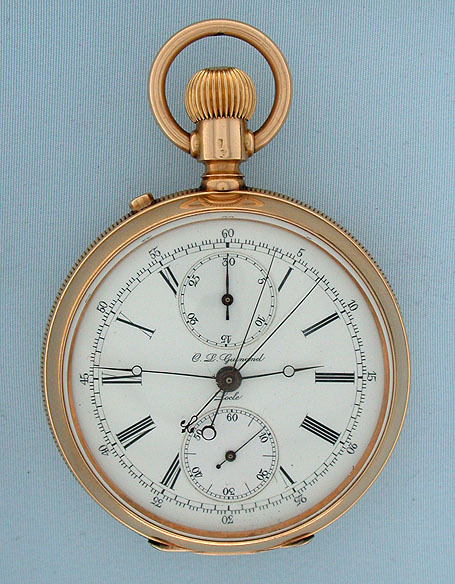 Fine Swiss 14K gold split second chronograph with elapsed time indicator by Guniand, Locle, circa 1900. White enamel dial with black indications, blued steel hands, and 30 minute elapsed time register. 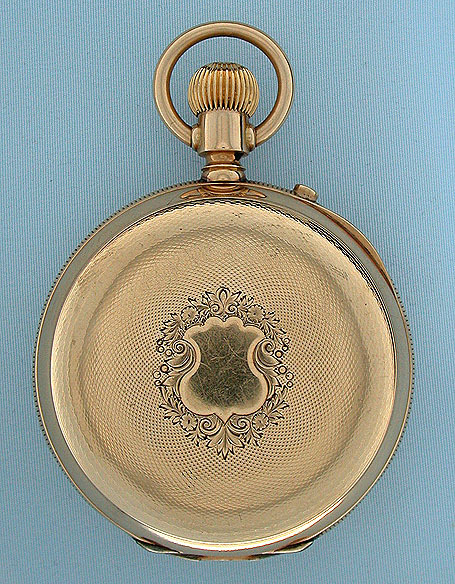 Engine turned case with button in the band for the split seconds. 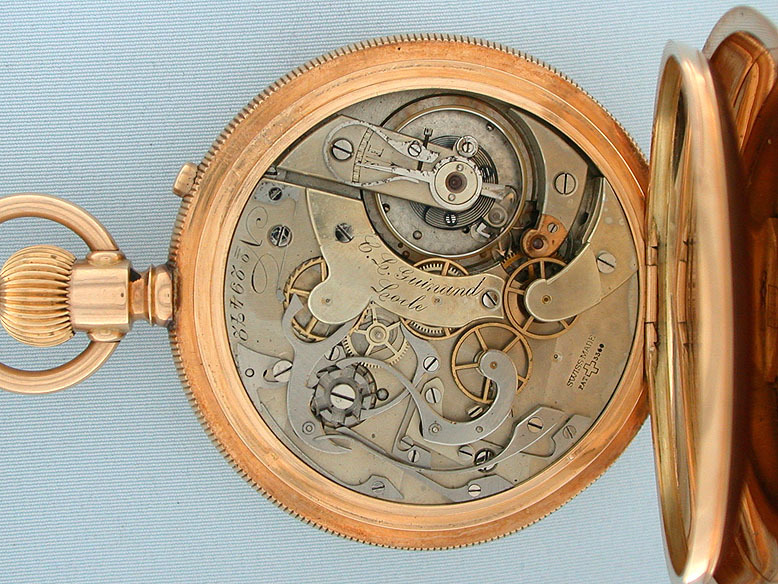 Fine 13 jewel nickel movement with counterpoised lever. This watch can time two separate events. When the crown is depressed the chronograph starts. When the button in the band is depressed the chronograph hand "splits" and one of the hands stops. The other hand continues until the crown is pushed. A final push of the crown returns the hand to "0".